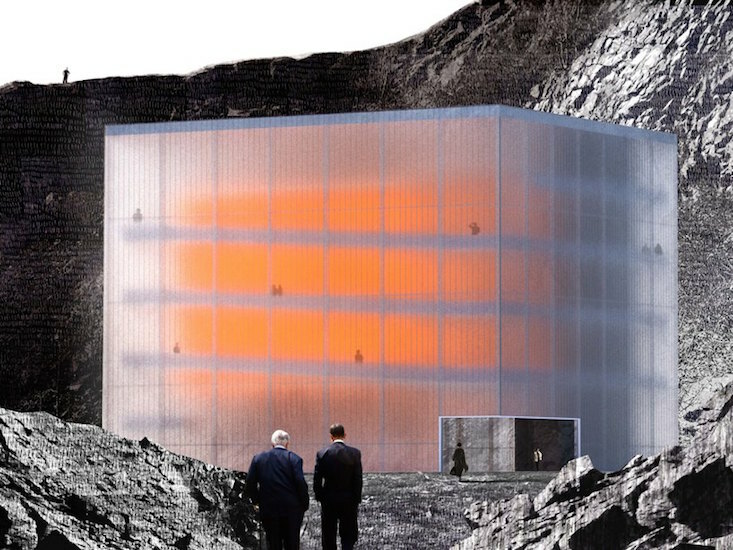 Budapest-based studio NARTARCHITECTS has proposed a museum located on a crater, taking the form of a glossy cube, to honour avant-garde painter Tivadar Csontváry Kosztka. 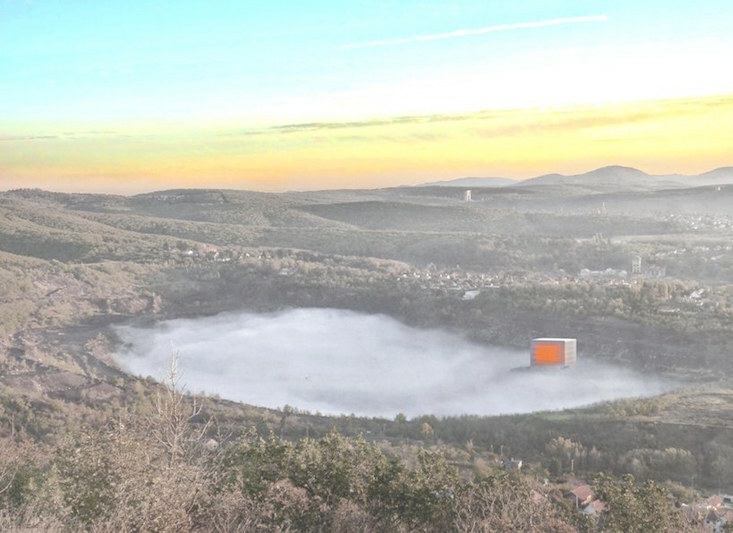 The firm aimed to find a site unique and symbolic enough to become a pilgrimage destination, fitting for the legendary artist, and came to propose a location adjacent to a lake in a crater from a former coal mine close to the city of Pécs. 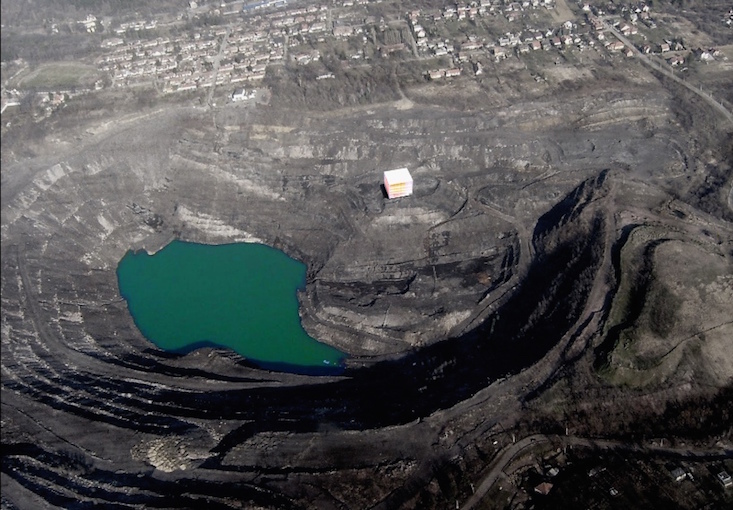 Together with the dramatic surroundings, the building's design creates a strong visual tension, an echo of the emotional tension tangible in Csontváry's paintings. A white and glossy cube forms the building's exterior, housing the red-orange heart of the building; the core is formed of ferroconcrete, surrounded by a lighter steel structure. One of the first Hungarian painters to be known in Europe, Csontváry (d.1919) is remembered also for his eccentricity and spiritual philosophies.